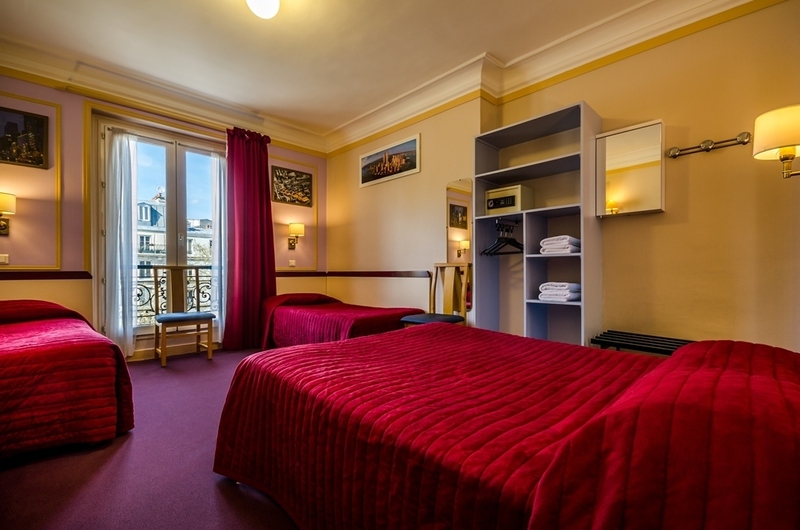 This room for 4 guests has 1 double bed and 2 single beds. It is soundproofed, spacious and cozy. It includes a television with international channels, telephone and a free WIFI connection. The bathroom is ensuite and has a bath.